Ciné and The Boulevard Gardening Club present the Athens premiere screening of this new feature documentary is about the life of Ryan Gainey, one of the most celebrated American garden designers of the past three decades. 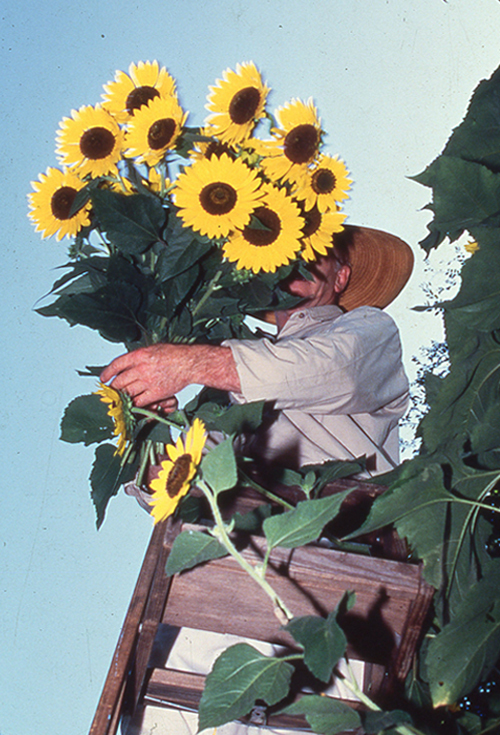 Growing up in rural South Carolina, Gainey developed a deep love of plants from his relatives and neighbors. After coming to Atlanta in the 70s and opening three beloved garden shops, he began to design gardens around the city and eventually around the the world. He died in July 2016 in Lexington, Georgia. Gainey has been the focus of numerous gardening television programs, but this film is the first project to examine the complexities of his life. Shot over the course of six years, from 2010 to 2016, the film shows he was a contradictory character, both off-putting and tender, self-absorbed and generous, artificial and authentic. Ryan Gainey was a lover of beauty, and his home garden in Decatur, Georgia was his masterpiece. It was, as he often said, a “garden of remembrance” where his old friends and family lived on in the overlapping blooms of heirloom plants. The premiere screening event on Thursday June 14th features a Q&A with Atlanta-based filmmakers, Steve Bransford and Cooper Sanchez; a reception with live music by Hog-Eyed Man & Special Guests, specialty cocktails and refreshments sponsored by Last Resort Grill, home.made, and Daily Groceries Co-op; flora display by Goodness Grows; and a visual art exhibit by Rinne Allen and Terry Rowlett. The film will also screen during the week of June 25-28, with an introduction and discussion with filmmakers Steve Bransford and Cooper Sanchez at 5:30p on Monday June 25th.